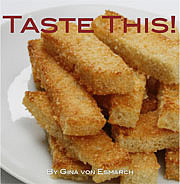 Published on June 5, 2013 in Recipes. 0 Comments Tags: cocktail, drink, lemon, lemonade, Mint, mint lemonade. Summer is nearly here and it seems I am turning nearly everything I cook, bake or blend into the color green. 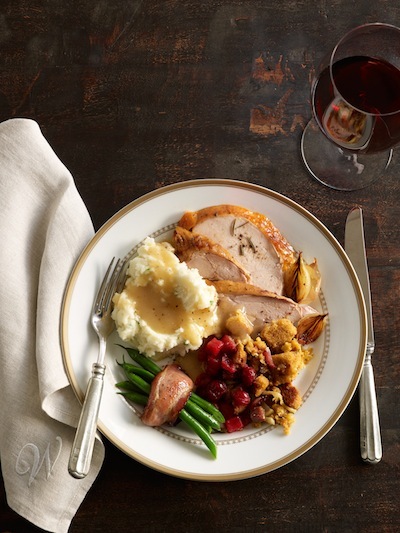 So many lovely green veggies and herbs are in bloom to play around with – the hours seem to melt away as I pine over fresh ingredients to meld into new creations. 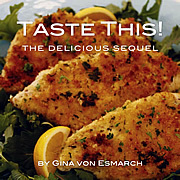 The recipes need not be overly complicated; the goal is just to taste the freshness in every bite, or in this case, gulp. This drink recipe is 100% kid friendly, but with the flick of a wrist (and your favorite white alcohol) it can quickly turn into an adult beverage. No one needs to know that you are not all drinking the same exact drink! I tend to gravitate towards a tart palate so when making this recipe for myself I will often cut the simple syrup recipe in half. My family tends to like things on the sweeter side, so I have provided that recipe as the base recipe. Tweak it as you like. 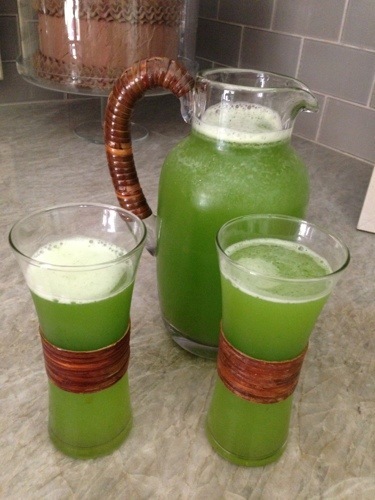 I think it is a wonderful summer drink that will refresh even the hottest of guest. In a small pot, combine sugar and water. Bring to a boil, stirring often. Once sugar is dissolved remove pot from heat and set aside. In a blender combine lemon juice, mint leaves, water, and ice. Blend until well combined. 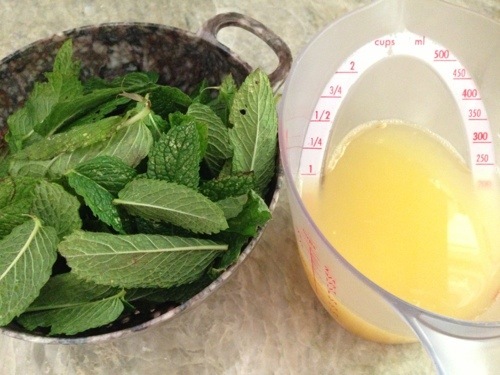 If desired, the small bits of mint can be strained out of the juice. Lastly, add simple syrup and stir. To garnish, serve with a sprig of mint or a little lemon rind.